I never got people who treated Sly Cooper as a platformer. When you boil it down, the platforming in the games is just a big QTE in disguise. Except all of the QTE's are circle. Well I'm done with the first 2 Sly games, and have gotten as far as The Panda King in Sly 3, so I think I should comment on what has been good and what has been bad about these games. - Sly 3 has potential, I think I am going to like it. - The money system is broken in Sly 2 (and probably Sly 3), I can't afford most of the gadgets and have no intention of Platinuming these games. - Carmeleta sounds just plain wrong in Sly 3. I much prefer her void in the first 2 games. - Clockla was terrible. The boss and the character, I really was looking forward to having Clockwerk possess her or something, because he was awesome. Try getting treasures, it really helps. In the pirate ship section. The problem is gone as soon as you discover you can sell the special items you pickpocket in the Thief-Net. I'd say he kinda did - Neyla didn't really act like herself at the end, and she suddenly started to really, really hate Sly. Not to mention hating Sly was her only real character trait. I did catch on to that, but I found pickpocketing got boring fast. But yea, I think I'm going to have to take it a little slower, and pick some pockets. - In Jak and Daxter the closest thing to currency in Skull Gems, and as long as you collect from your foes you will get all of the upgrades. - In Ratchet & Clank a wide range of bolt grinding opportunities present themselves, and everything you do gives you bolts. So as long as you destroy everything in your path the only time you'll be not buying weapons is in R&C:ToD until you get to Sargasso. - In Sly, you pick peoples pockets, and it takes forever. I'm not that happy about Sly's approach to currency. 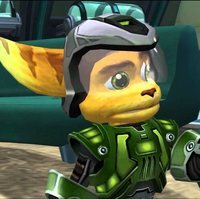 But in terms of difficulty it hits a good spot between Jak's hard and Ratchet's easy. And although I hate the minigames, I do enjoy the core gameplay and characters' charm. It's not just the pick pocketing though. Sly 2's levels have about 4 to 5 treasures you can take to the safe house and sell for around 500 coins each. That's more than enough to get one or two upgrades. You're right, I kinda forgot about those treasures. I wasn't all that keen on the timed ones, but the non-timed ones did help my wallet out quite a bit. If only I didn't always spot them while on a mission, because by the time the mission is over I've forgotten all about them.